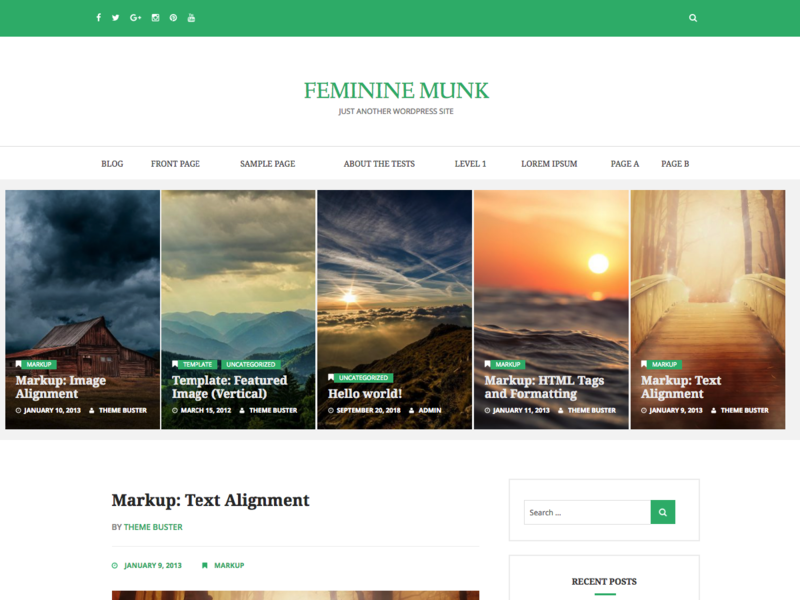 Feminine Munk is a modern and clean WordPress theme designed for a blog or a website. The theme has the feature post section which helps to display intersted posts in top of the home page. The footer widget areas offer plenty of space for any secondary information, and striking typography makes the content look stunning. The Theme has a built-in Recent Posts widget, Popular Posts widget, Social Link Widget and Author widget. It features full width page option, SEO friendly structure, custom logo support and social media links. The theme is responsive and scales beautifully with various screen sizes while maintaining the text readability and image quality.